The McCormick® flavour Forecast® 2018 predicted that this year would be the year of hotpots – and we couldn’t agree more. Take a trip around India (we are pretty much a continent in ourselves) with our hotpots and you’ll be nodding in agreement in no time! Garlic infused paneer simmered in our signature creamy yogurt-based gravy, served on a bed of aromatic coriander, jeera pulao, is topped off with fresh fenugreek which takes this delicious staple a notch higher. This bowl full of Indian flavours comes with juicy pomfret fish spiced with tikka masala, grilled to perfection and glazed with butter. 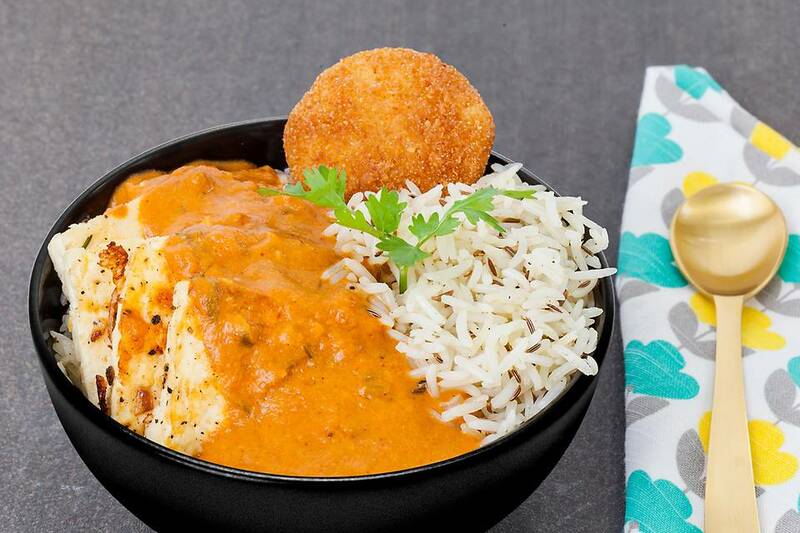 This is served on a bed of rich classic makhani gravy and flavourful jeera rice. Say hello to Indian food with a twist. Fresh and creamy cottage cheese steak is grilled and tossed along with buttery tomato sauce and served with roasted cumin rice, topped with crispy mixed vegetable cutlet. A contemporary Indian dish, rich in flavours and aroma, this lamb dish is sure to impress you! Boneless lamb leg is slowly cooked with poppy seeds, curry leaves, coconut, onion and chilli in a typical Malvani style. Served with savoury pilaf.